Q1: Are you trading company or manufacturer ? 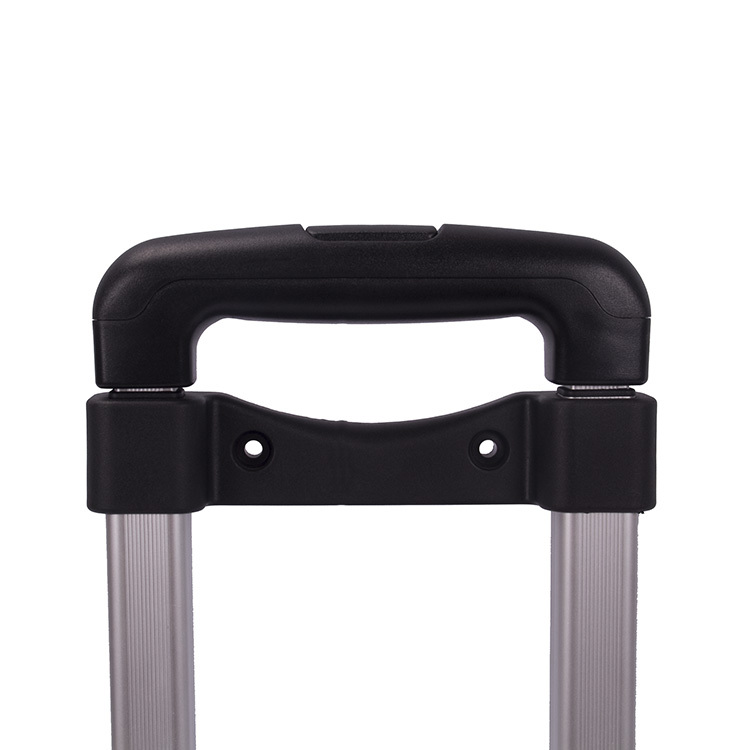 A:We are manufacturer of luggage accessories. Q2. How long is the delivery time ? A: For the sample, normally we need 3 to 4 days. For the mass production, normally 25 to 30 days. Q3. Do you provide samples ? is it free or extra ? A: Samples under 3 sets can Abe provided freely. Q4. What is your terms of payment ? A: We prefer T/T, but L/C is also acceptable. If you have some special request for payment terms, please contact us for further information. Q5. How is the OEM capability ? 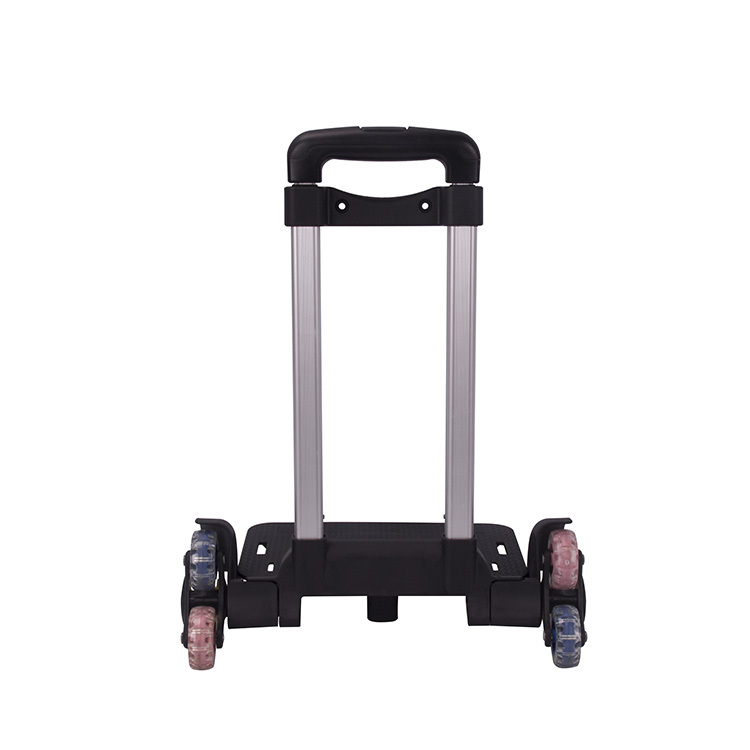 A: 550,000 pcs trolley per month, 150,000 pcs wheels per month. Q6. Where is your factory ? Q7. What is the quality ? A: We have two standards currently, one is the national standards, the other is industry standard. Q8. What’s the main business of your company ? 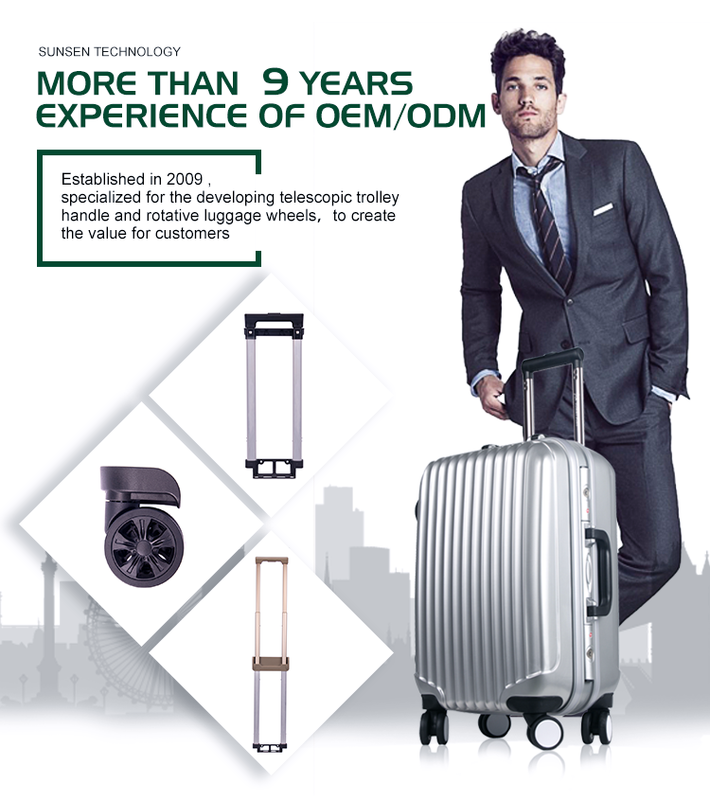 A: ODM & OEM of luggage accessories, such as trolley handles, luggage wheels, etc. Q9. What price terms available ? Q10. 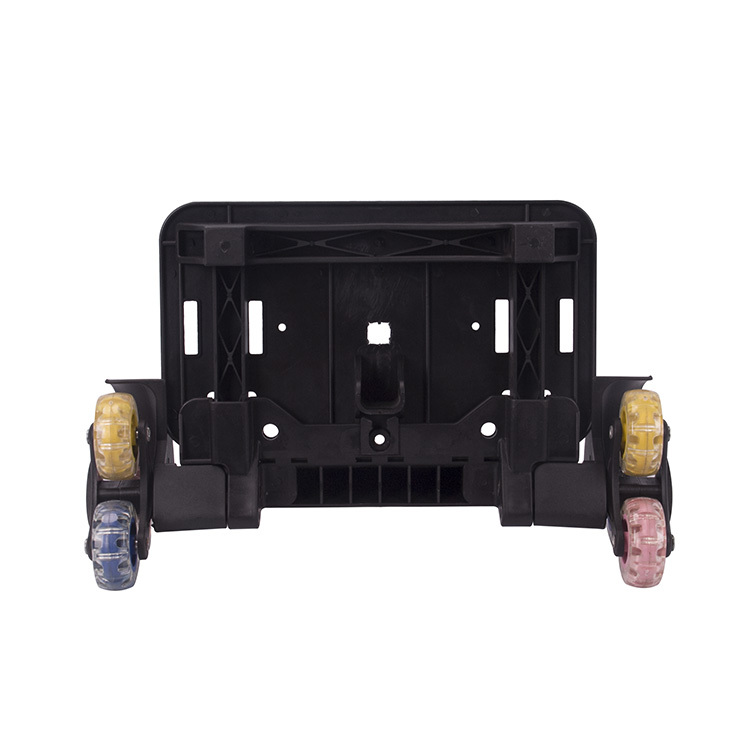 Is OEM available by your company ? A: Sure, we mainly focus on OEM and ODM. Q11. What’s about the MOQ ? A: For mass production, we would like to take 100 pcs as the MOQ. Q12. What extra service you can offer ? A: ODM is also our advantage. Q13. How can you response to quality comments ? A: We have higher quality standards than the industry , each customer’s evaluation is our support . Q14. How can we get the quote? A: Please feel free to contact with our business centre. A: Good quality with competitive price, customer’s best choice. 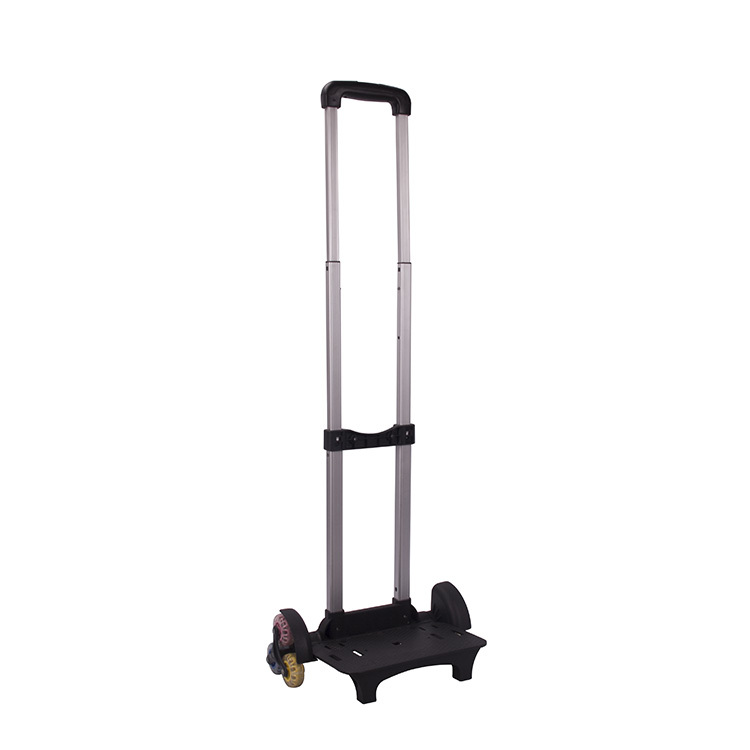 GUANGDONG SUNSEN LUGGAGE ACCESSORY TECHNOLOGIES CO., LTD, established in 2009, devote on manufacturing the telescopic system and related equipment.